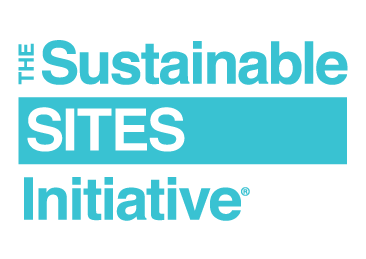 AUSTIN, Texas — The Sustainable Sites Initiative™ (SITES™) program has certified four new landscapes, including a pocket park in Washington state, a mixed-use development in northern California, a historic Civil-War era preserve in New York, and the headquarters of an architecture firm in Georgia. "These projects demonstrate how healthy, beautiful landscapes can be woven into both urban and rural communities,” said SITES Program Director Danielle Pieranunzi, who is based at the Wildflower Center. "Sustainable landscapes provide many benefits including conserving water and reducing air pollution, and also offer visitors a place to connect to nature and history." Kirke Park, Two Stars, Site Workshop, Seattle, Washington. This pocket park was designed to reflect the site's past, incorporating structural elements that were remnants from a church that previously occupied the site, while enhancing the neighborhood. A community garden recalls the site's history of producing food while a secret garden offers a quiet space inside the preserved walls of the historic church. A gathering plaza contains other park relics and is connected to an open lawn, providing structure for community events and informal play. A playground and an "adventure trail" that uses logs and boulders promote an active, natural play environment. West Point Foundry Preserve, One Star, Scenic Hudson Inc., Cold Spring, New York. The preserve is at a former turn-of-the-century manufacturing facility, which later was declared an EPA Superfund cleanup site. The work of a community advisory group, informed by years of archaeological studies, helped inform the transformation of 87 acres into a publicly accessible outdoor museum and heritage destination with interpretation and restored habitat. The site's existing artifacts and previous history manufacturing Parrott guns credited with winning the Civil War, steam engines and mill equipment were incorporated into the design. The preserve includes a restored tidal marsh that supports wildlife habitat. Salvaged materials found on site such as brick fragments and stone were used in the project. Uniquely, the project included an archaeological monitoring plan to address unexpected features found during construction. The preserve is the second SITES-certified project of Scenic Hudson Inc. along the Hudson River and is listed on the National Register of Historic Places and is a Preserve America site. Download the SITES v2 Rating System and related scorecard. The SITES v2 Reference Guide is also available for purchase in digital and print formats. For more information contact: media@sustainablesites.org or Lee Clippard (512.232.0104) or Barbra Rodriguez (512.232.0105).